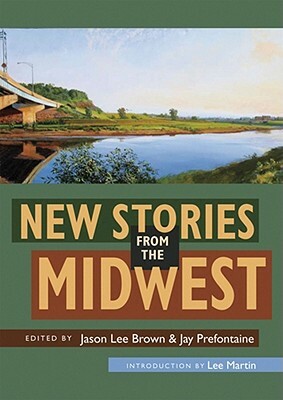 New Stories from the Midwest presents a collection of stories that celebrate an American region too often ignored in discussions about distinctive regional literature. The editors solicited nominations from more than three hundred magazines, literary journals, and small presses, and narrowed the selection to nineteen authors comprising prize winners and new and established authors. The stories, written by midwestern writers or focusing on the Midwest, demonstrate how the quality of fiction from and about the heart of the country rivals that of any other region. The anthology includes an introduction from Lee Martin and short fiction by emerging and established writers such as Rosellen Brown, Bonnie Jo Campbell, Christie Hodgen, Gregory Blake Smith, and Benjamin Percy. Jason Lee Brown teaches writing at Eastern Illinois University and is a contributing editor to River Styx. He has received awards from the Illinois Arts Council, Academy of American Poets, and Illinois Press Association.